Dissapointed over some of the game section were under maintainence. On over all, kids enjoy the excitement & games entertainment provided. If you are coming from Singapore, you can choose between the bus or a private transfer for hassle-free transfers! 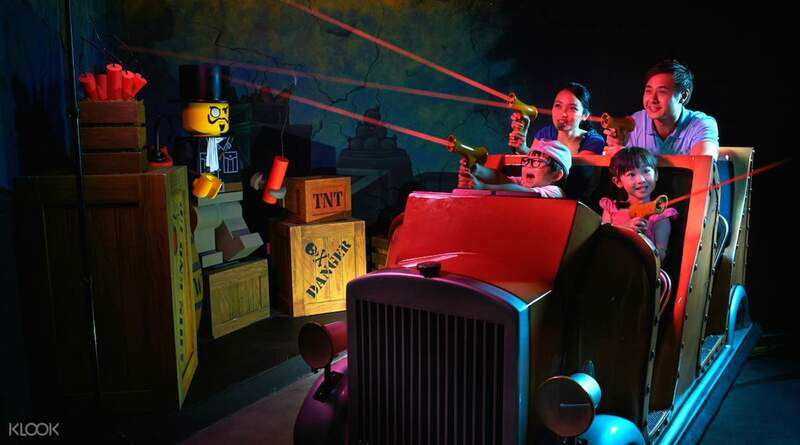 Trek northward into Malaysian domain for a fun day out at Legoland! Hunt for lost treasure and plunge down a boat slide in the Land of Adventure. 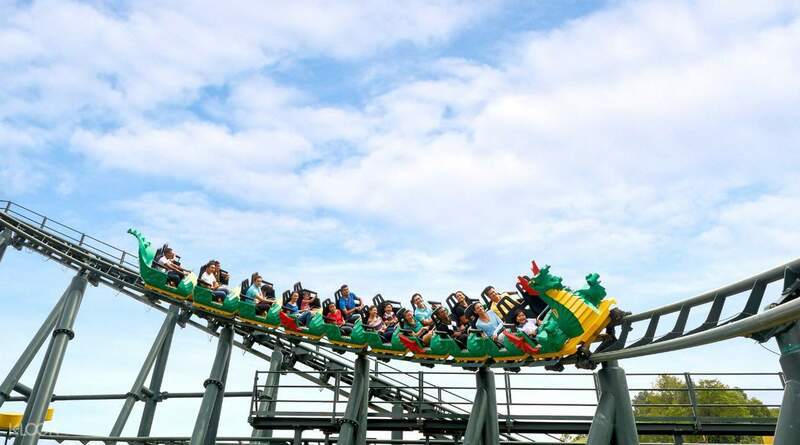 Go on the Dragon Roller Coaster or try Merlin's carousel challenge in the Lego Kingdoms. Shoot water bombs at Lego Technic, or spin as crazily as you want on the Technic Twister. Then pilot your own plane or learn to drive at Lego City, before shopping at the largest Lego store in Asia, the Big Shop! You'll also get to build your own Lego Robots at the Mindstorms, and explore Lego Replicas of Asian landmarks in Miniland. There's plenty to look forward to and a lot of room for your creativity and imagination to go wild, so round up the family and make a day trip to Asia's first Legoland Park! Hop on the Dragon Roller Coaster for that rush of adrenaline! well, everyone knows LEGOLAND, place for kids. u can never go wrong. as what others going to say, any part of the year, it is going to be hot. do remember to bring a hat or an umbrella. it helps. some of the rides are close temporary. due to maintenance. Sea Aqurium is coming soon. looks good from outside, do wait for that. it is so easy to use klook. you don't have to que in the ticket counter. straight to entrances. well, everyone knows LEGOLAND, place for kids. u can never go wrong. as what others going to say, any part of the year, it is going to be hot. do remember to bring a hat or an umbrella. it helps. some of the rides are close temporary. due to maintenance. Sea Aqurium is coming soon. looks good from outside, do wait for that. it is so easy to use klook. you don't have to que in the ticket counter. straight to entrances. It was great experience to buy the Legoland tickets in Klook, which is the only website selling 2-day combo for theme park and water park that is not available even in the Legoland official website. Also their price is the best deal. Purchase process is fast, easy and safe. Legoland is such a fun park that our kids love it very much and we also met their little friends in the park by coincidence. We are planning to visit the park again and will consider to purchase at Klook as first priority. We will recommend travellers to purchase theme park tickets at Klook without hesitation. It was great experience to buy the Legoland tickets in Klook, which is the only website selling 2-day combo for theme park and water park that is not available even in the Legoland official website. Also their price is the best deal. Purchase process is fast, easy and safe. Legoland is such a fun park that our kids love it very much and we also met their little friends in the park by coincidence. We are planning to visit the park again and will consider to purchase at Klook as first priority. We will recommend travellers to purchase theme park tickets at Klook without hesitation. Too bad the sealife is not yet open but overall the experience is great. no queuing to rides. staffs are very friendly offering to take photos. we enjoyed the observatory tower you get to see 360 degrees of the themed park. foods are cheap too. some accepts sgd and cc as payments. Too bad the sealife is not yet open but overall the experience is great. no queuing to rides. staffs are very friendly offering to take photos. we enjoyed the observatory tower you get to see 360 degrees of the themed park. foods are cheap too. some accepts sgd and cc as payments. The weather is very hot and humid. Dont forget to bring an umbrella and sunblock. We were advised to go to the waterpark firts as the weather may change and may get a thunderstorm later on in the day and may close the waterpark early. Luckily there were no thunderstroms in our entire stay in the park but there are already rainclouds forming. I suggest you alot half day in the waterpark and halfday in the theme park. Bring alot of water. The weather is very hot and humid. Dont forget to bring an umbrella and sunblock. 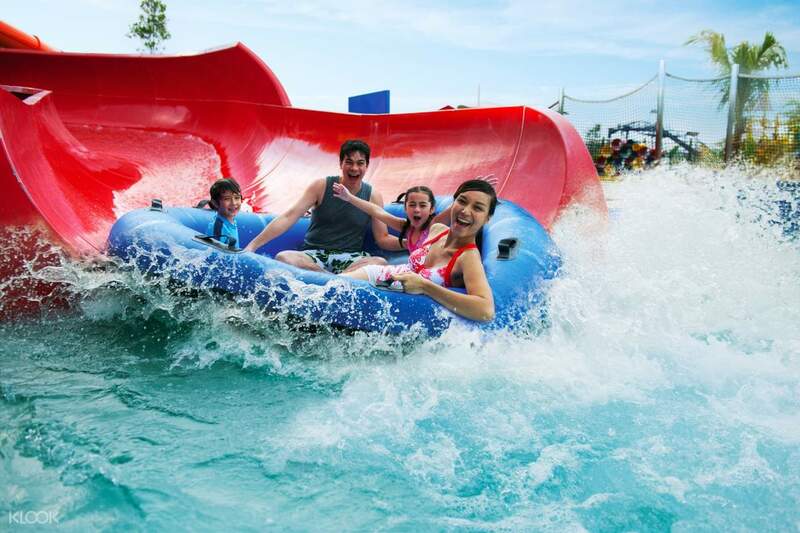 We were advised to go to the waterpark firts as the weather may change and may get a thunderstorm later on in the day and may close the waterpark early. Luckily there were no thunderstroms in our entire stay in the park but there are already rainclouds forming. I suggest you alot half day in the waterpark and halfday in the theme park. Bring alot of water. We had a blast! My son wanted to spend his 7th birthday in Legoland, instead of having a party. And we happily agreed. Booked the 2-day combo ticket. Entering both parks was very easy, we just showed the booking ticket from our phone. No need to print. We went to the water park for the half of the 1st day. The other half of the 1st day and the entire 2nd day, we spent on rides on the actual park. There were no lines and queues, so we were able to ride all at least 2x. We went on weekdays, Wednesday and Thursday. The staff said it's always more crowded during weekends. So if you can, definitely come during the weekdays. We had a blast! My son wanted to spend his 7th birthday in Legoland, instead of having a party. And we happily agreed. Booked the 2-day combo ticket. Entering both parks was very easy, we just showed the booking ticket from our phone. No need to print. We went to the water park for the half of the 1st day. The other half of the 1st day and the entire 2nd day, we spent on rides on the actual park. There were no lines and queues, so we were able to ride all at least 2x. We went on weekdays, Wednesday and Thursday. The staff said it's always more crowded during weekends. So if you can, definitely come during the weekdays. We are far away from malaysia and we have to book tickets online for hassle free. Legoland is really for kids and kids at heart! The rides were not super high speed but still you get to enjoy! Lots and lots of legos! And we were lucky no queuing! Staff was very friendly, place is very clean! And we got to meet lego movie characters! Awesome experience for my child who loves lego! We are far away from malaysia and we have to book tickets online for hassle free. Legoland is really for kids and kids at heart! The rides were not super high speed but still you get to enjoy! Lots and lots of legos! And we were lucky no queuing! Staff was very friendly, place is very clean! And we got to meet lego movie characters! Awesome experience for my child who loves lego! A: Unlike third party platforms who may hold fraudulent tickets, Klook is an authorized reseller of Legoland. All tickets sold by Klook are genuine and will be accepted at the admission gate.